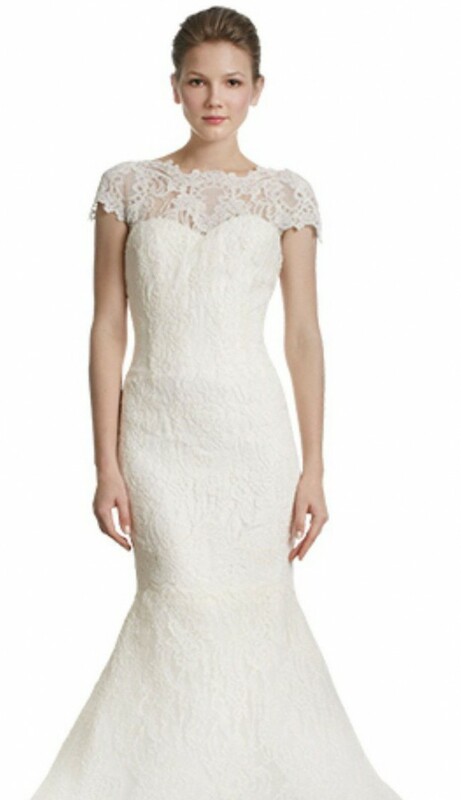 Lace Dress with cap sleeve. Perfectly pristine condition and preserved in a museum quality box. Gorgeous as is, or can also be worn with a belt. Hemmed for a 5'5" bride, who wore 3" heels. Once you send a message, Whitney can invite you to purchase the dress.